How To Solve Elbow Pain? Home » Health » How To Solve Elbow Pain? 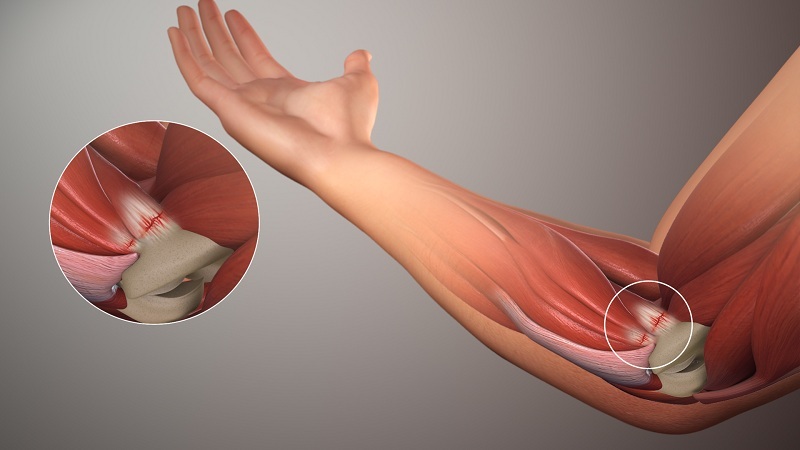 The most common cause of elbow pain is the excessive use of repetitive movements in desk jobs. Over time, things like writing, doing something in front of the computer, or even doing series on the bench press, French press or push-ups can be detrimental to the health of the elbows. Eventually, small tears may begin to build up in the tendons that surround the elbow, which can cause inflammation and pain. This can be much worse as the tendon repairs itself and forms scar tissue around the area, creating a lack of blood flow. Elbow pain may come from the inside or outside of your elbow, and in some cases, the pain may radiate to the arm. Anything from muscle strain, tendon strain, tendonitis, bursitis, arthritis, a fracture or dislocation can cause elbow pain. The most common forms of elbow pain from excessive use or repetitive movements are tendon sprains. Most people will notice the pain of twisting the forearm or wrist, especially while leaning on something or holding a heavy dumbbell. First, the best way to treat pain in the elbow is to find the source of the pain and temporarily eliminate it. If you continue doing what caused your elbow problems, the most likely thing is that the pain will persist. 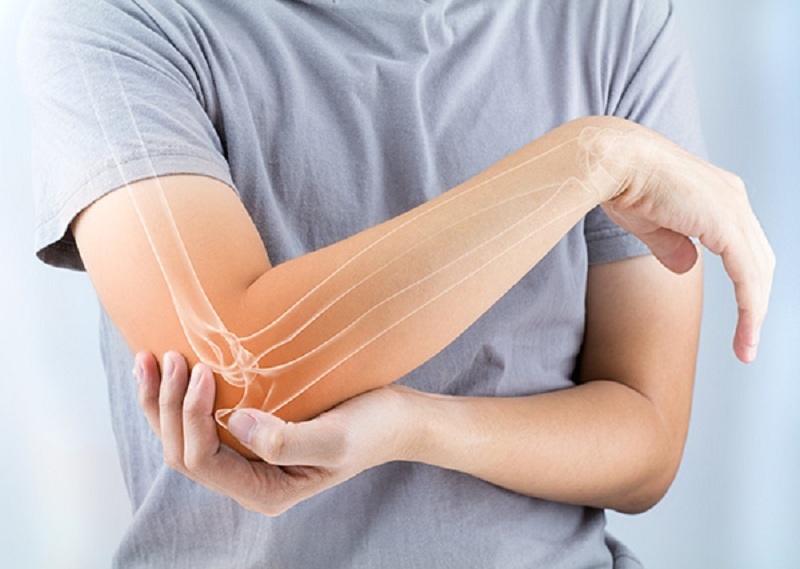 It is most likely that the pain in the elbow is the result of an imbalance of the muscles or the restriction of soft tissue elsewhere in the body. For example, if you do not have the appropriate length of tissue in the pectorals and/or lats, it will cost you the external rotation of the shoulder (to turn the hands out of your body). The best option is to get a message from a licensed professional. The better you can move the upper part of the body along, the better you feel on the elbows. Check This Out: What Is Hepatic Colic And How To Cope With It? If your elbows, wrists, and shoulders are too tight you run the risk of damaging the soft tissues around these joints. After having done a massage, it is a good idea to stretch these areas to improve the quality of the tissue. One of the best stretching exercises is the elbow and wrist flexors. To do this, extend the elbow and wrist and then gently use the opposite hand to pull them to a greater extent. The reduction of inflammation is one of the reasons why you should supplement with Omega-3 fatty acid or fish oil. This can help with the reduction of inflammation and the formation of scar tissue on the elbows. The other option would be to obtain these omega-3 fatty acids naturally, through fish, nuts, flax seeds and chia seeds. Spraying flax or chia on your breakfast or in salads is a simple way to make sure you’re getting these fats every day. Other supplements such as glucosamine can help alleviate the problems we have in the elbows. I know this can be hard to swallow for many bench press addicts, but switching to weight training temporarily could be one of the best ways to relieve chronic elbow pain in workouts. We all have imbalances or asymmetries in a certain measure. Take, for example, the hand with which you write. Most likely, it is the same hand that you use to throw or carry your briefcase with. We all have a dominant side. The bars must be changed to the weights to achieve a better balance. The elbows will thank you! Just because you have pain in your elbow, does not mean you were born with “bad” elbows. Your best option is to identify the cause and then practice some of these strategies so that you do not suffer in your workouts and that you can solve your elbow problems. I hope this article has helped you gain some knowledge and understanding of some of the possible causes of elbow pain, and how pain can be eliminated or reduced before you give up training altogether.